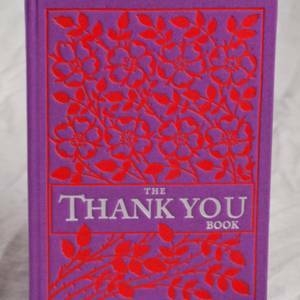 The 'Thank You Book', published in 2010, and Thank You Day 2011 and 2012. 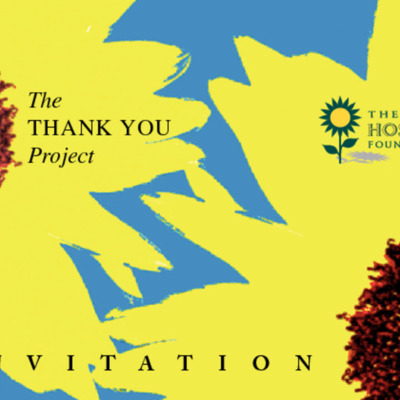 The Thank You Book was published by the Irish Hospice Foundation in October 2010. The book is in journal format and was aimed to act as a place to practice the act of gratitude. It also features messages of gratitude from Irish and international personalities. These messages were secured specifically for the publication and in them personalities give thanks for the things that are important to them. Celebrity contributors include: Martin Sheen, Gabriel Byrne, Seamus Heaney, Brian Friel, Maeve Binchy, Edna O’Brien, Cecilia Ahern, Colum McCann, Sebastian Barry and Brendan Gleeson. 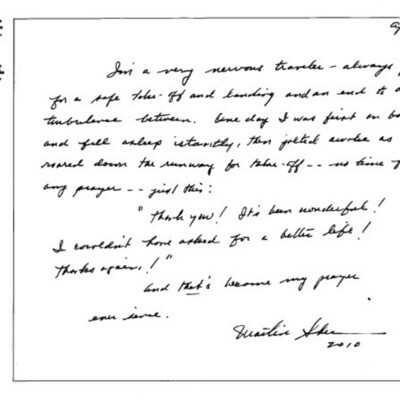 The Thank You Book also generated a range of Thank You cards and led to ‘Thank You Day’. Thank You Day, modelled on U.S. Thanksgiving, was held in November 2011 and aimed to be a dedicated day of giving thanks. Designed by: U2 designer Stephen Averill. Inviation and photos from the launch of The Thank You Book in October 2010. 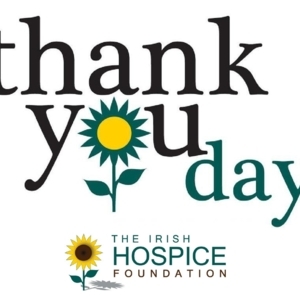 Handwritten submissions for the Thank You Book, published by the Irish Hospice Foundation in 2010.